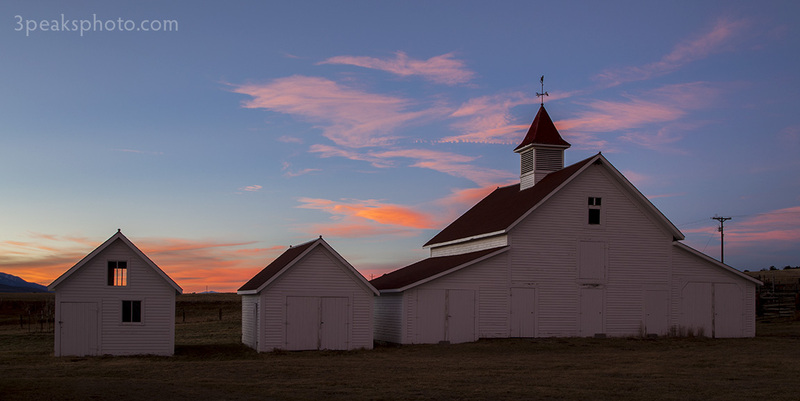 These are some of the restored buildings at Beckwith Ranch north of Westcliffe, CO. The site is managed by the Colorado Historical Society. I made basic adjustments, tweaked the colors and made lens corrections in Adobe Camera Raw. I added a curves adjustment layer and cropped in Photoshop. This is Zoya from the Rocky Mountain Wildlife Foundation. She got a little spoiled today when the Colorado Photography Group and the Down Syndrome association teamed up for some fun and some photos. I obviously didn’t have my shutter speed set correctly, but I’m considering this shot a happy accident because it looks like Zoya’s getting a high-speed petting. I made basic adjustments and used the curves tool to reduce highlights in Adobe Camera Raw. I added a curves adjustment layer in Photoshop. 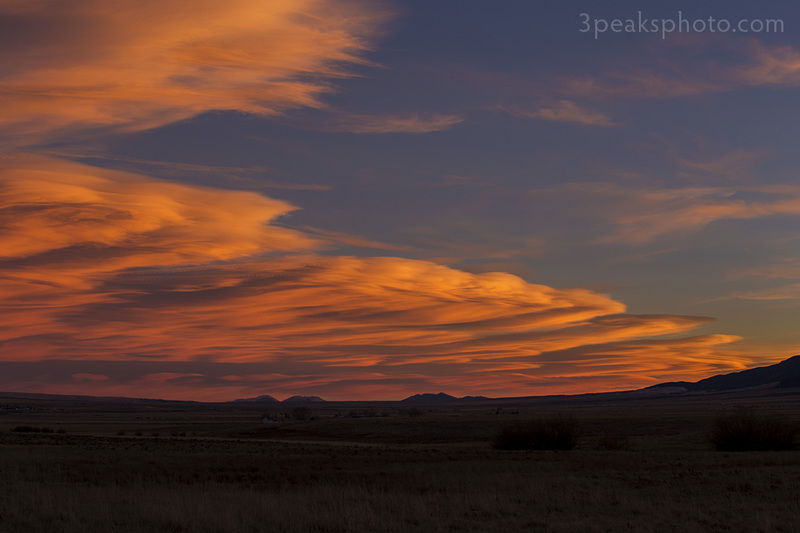 This is tonight’s sunset from Beckwith Ranch near Westcliffe, CO. I was set up, waiting for the sky to light up over the Sangre de Cristo Mountains, but all of the action ended up to the south, the east and the north. I made basic adjustments in Adobe Camera Raw and added a curves adjustment layer in Photoshop. This is Joe. He loves Jesus and turkey cupcakes. Joe is one of the many Salvation Army volunteers who helped serve 349 meals to people in Manitou Springs today! 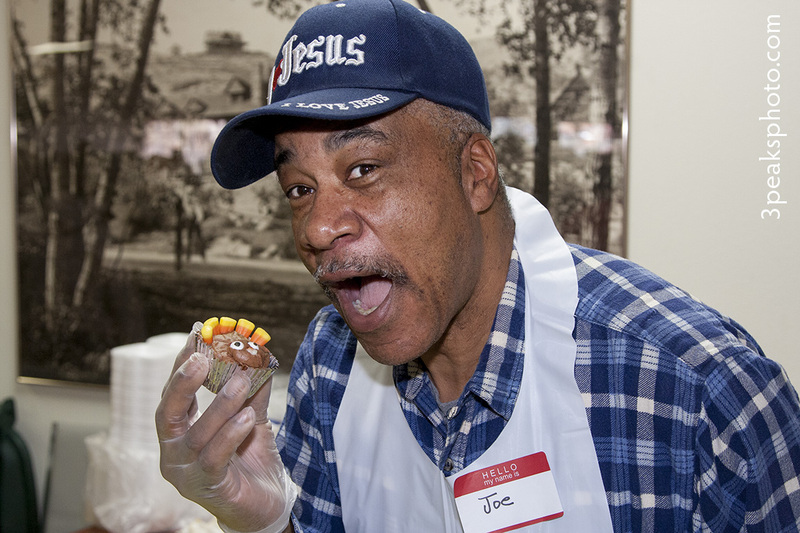 I have been volunteering to photograph the meal giveaways on Thanksgiving and Christmas for the past several years, and it’s always a lot of fun. This year there were no leftovers. I made basic adjustments in Adobe Camera Raw. I then used the Spot Healing Brush to remove blemishes in Photoshop. These are the Sangre de Cristo Mountains from the Wet Valley just outside of Westcliffe, CO. This a panoramic image made by blending 5 horizontal photos. In Bridge, I selected the files I wanted to merge. From the Tools menu I chose Photoshop then Photomerge. In Photomerge I selected the reposition function. Once the files were merged in Photoshop, I used the Camera Raw filter to straighten the image and make basic adjustments. I used the Spot Healing Brush to remove spots in the sky and cropped. This is Ladyhawke from the Rocky Mountain Wildlife Foundation. 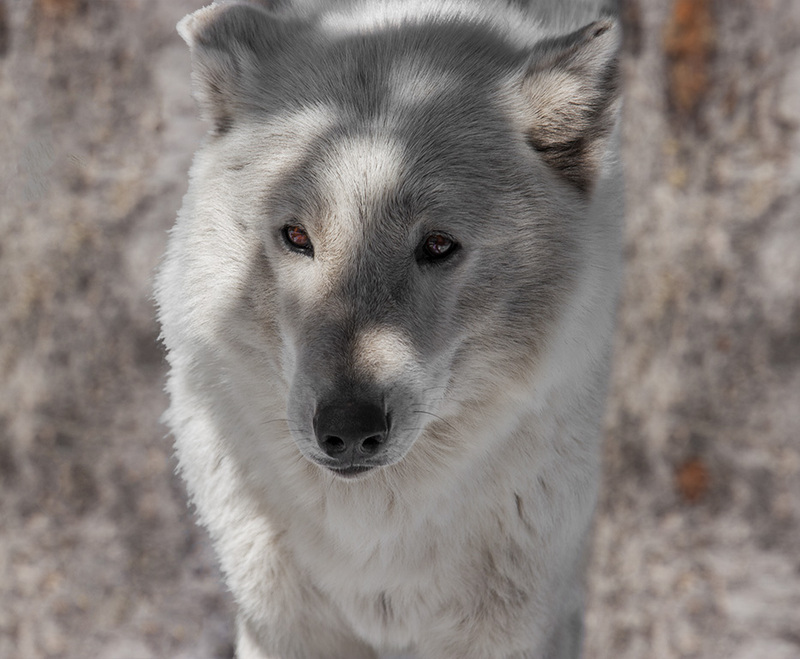 She was the matriarch of the pack and died a couple of years ago. I started with basic adjustments in Adobe Camera Raw. I used the Spot Healing Brush to remove specks from her fur then the dodge and sponge tools to brighten her eyes. 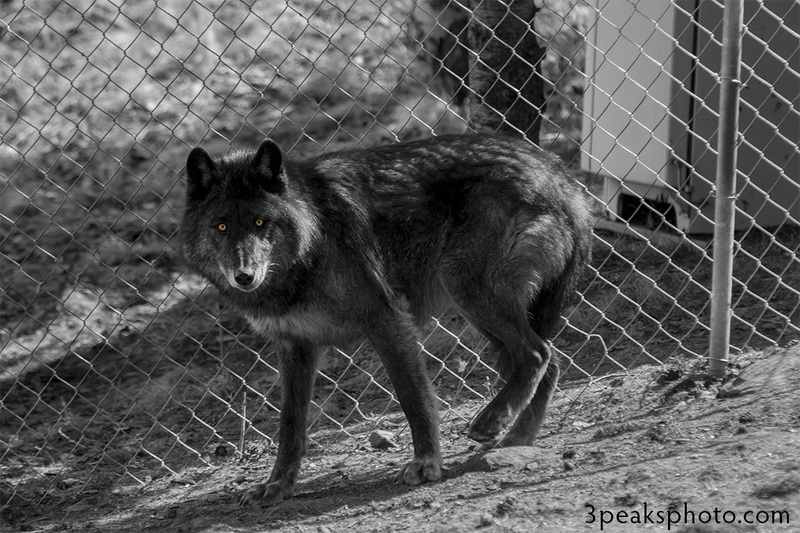 With a combination of the Quick Mask Mode and the Magic Wand I selected the left side of the picture, which contained a chain link fence. I cut out the area and refined the edge of her fur with the Color Range tool. I moved a duplicate copy of the original photo to the left so the tree filled in the area that was cut out. I removed any distinguishing marks on the tree with the Spot Healing Brush, added a curves adjustment layer and cropped. 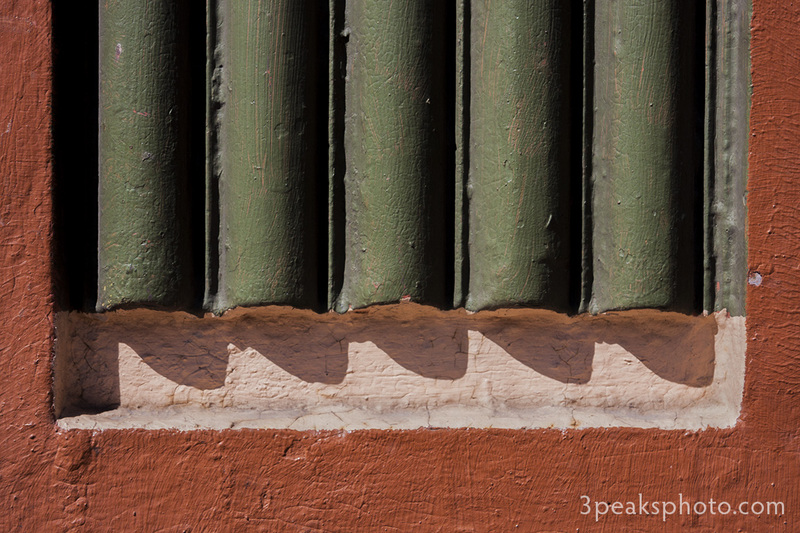 This shot was taken on a photo walk in downtown Pueblo. Many times I’m attracted to patterns, shapes and shadows on walls. I made basic adjustments, removed chromatic abberations and straightened the image in Adobe Camera Raw. I then added a curves adjustment layer in Photoshop. This is Merlina at the Rocky Mountain Wildlife Foundation in Guffey, CO. I have not seen here in a long time because lately when we go out there with a large group, she usually hides in her house. The first time I visited the sanctuary with my photography group, she paced back and forth and watched us the entire time we were there. I made basic adjustments in Adobe Camera Raw. In Photoshop I used the Spot Healing Brush to remove some unwanted items. I added a black & white adjustment layer and worked with the mask to reveal the color of her eyes. 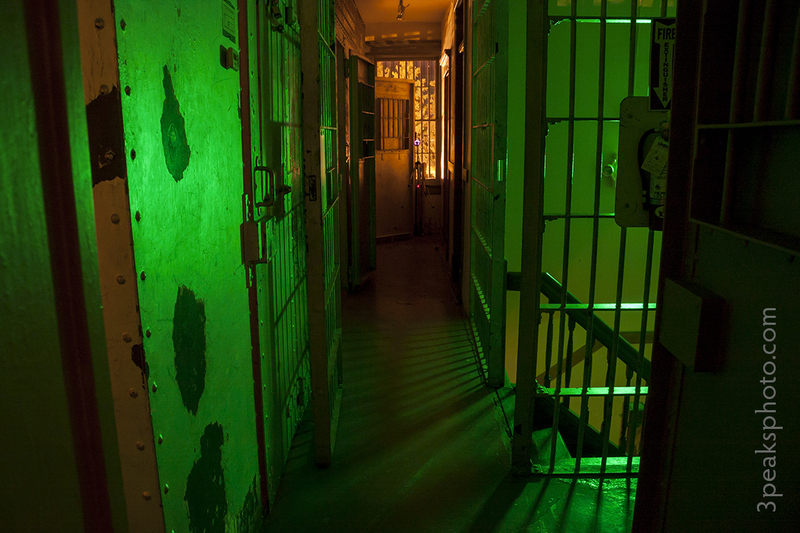 Wanna Spend the Night in this Jail? I made basic adjustments, removed chromatic aberrations and reduced noise in Adobe Camera Raw. 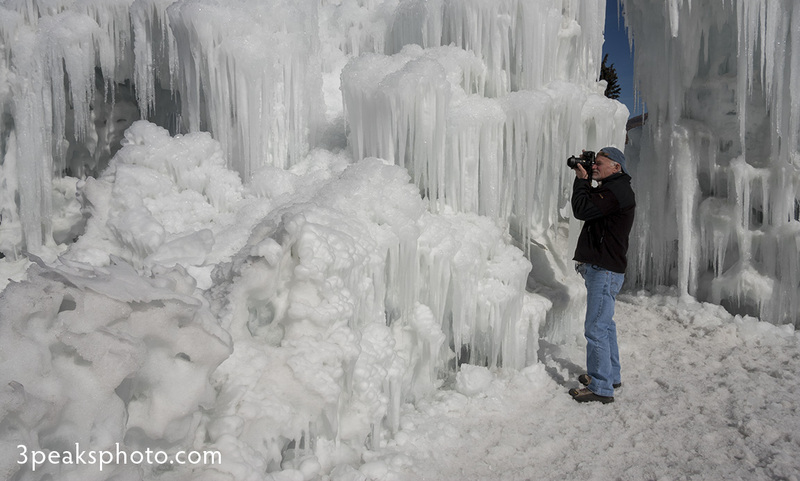 Here is a rare glimpse of the elusive landscape photographer in its natural habitat, exhibiting the unusual behavior of making a photograph without the use of a tripod. I made basic adjustments and removed chromatic aberrations in Adobe Camera Raw. In Photoshop I used the Clone Stamp and the Spot Healing Brush to remove a cable.